Himachal Pradesh is one of the best ranked States when it comes to literacy rates in the country, thus it is more than fitting for the State to have an Indian Institute of Information Technology and other national level institutes and collages. 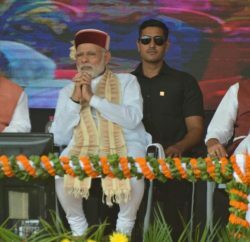 It has been a long term effort of the Himachal Pradesh government to demand an IIIT for the State, to quote State Technical Education Minister Narendra Bragta – “We have been demanding an IIIT for last one year,” this could soon be a reality as the Centre has shown likeliness for the same. Bragta further emphasized that he would be meeting HRD minister Kapil Sibal on February 17 in Delhi where he’d put forward the State’s claim for the allotment of an IIIT. Besides an IIIT, two hydro electric engineering colleges and five polytechnical institutions will also be set up in the State.